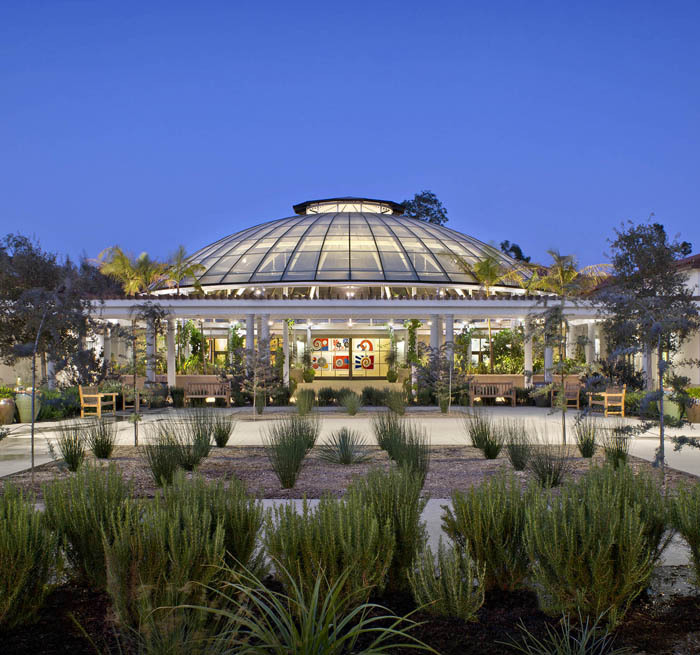 The Steven S. Koblik Education and Visitor Center serves as the gateway to one of the most renowned cultural, research and educational centers in the United States – The Huntington Library, Art Collections and Botanical Gardens. The Center includes a 400-seat auditorium designed by Auerbach Pollock Friedlander in collaboration with a team led by Architectural Resources Group. Auerbach Pollock Friedlander also provided audio-video consulting services for the project. Situated on 6 and a half acres of beautifully-landscaped grounds, the new complex blends seamlessly with the Beaux-Arts architecture of the original buildings. 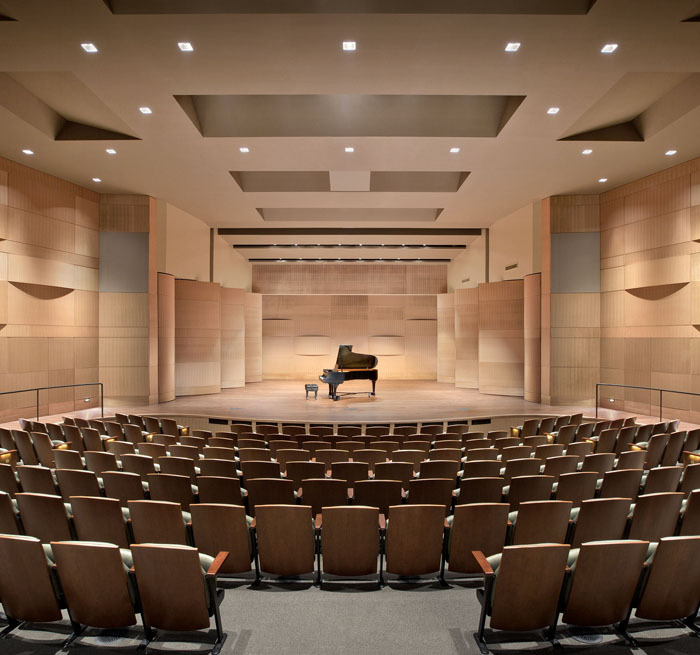 The auditorium, located in Rothenberg Hall, is used for lectures, meetings, and media and arts events while supporting an expanded and successful program of events that had outgrown the existing venue. Auerbach Pollock Friedlander’s audio-video consulting scope included the design of systems with projection for classrooms in the June and Merle Banta Education Center, Haaga Hall – a divisible multipurpose room and the Stewart R. Smith Board Room, as well as sound reinforcement, recording and playback, intercommunications and paging systems. The Huntington is a private, non-profit institution located in San Marino, California that was founded in 1919 by Henry E. Huntington in support of research, education and beauty. 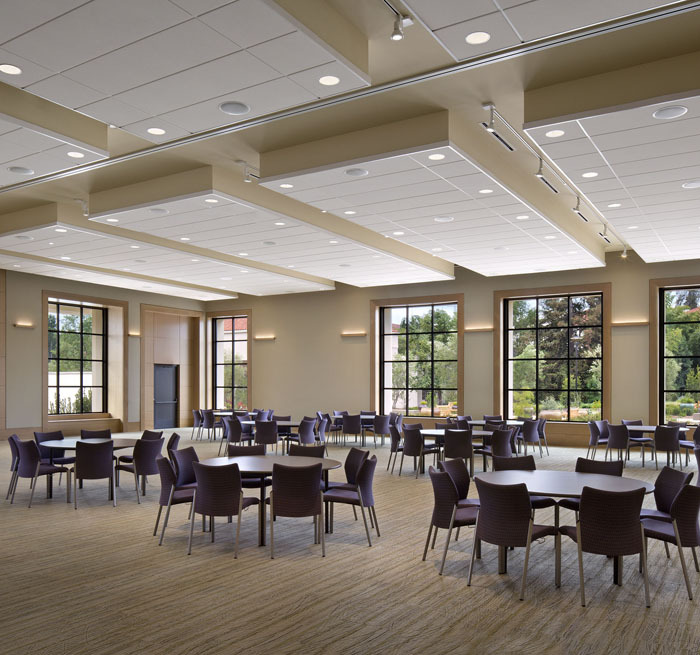 The expanded facility includes the auditorium, admissions building, orientation gallery, store, coffee shop, café, multipurpose room, board room, classrooms and new landscaping. The Huntington welcomes more than 600,000 visitors each year.